McCLIM, an implementation of the "Common Lisp Interface Manager CLIM II Specification", is a portable and high-level user interface management system toolkit for Common Lisp. It has a powerful presentation model which allows us to directly link the visual representation of an object to its semantics. It has several high-level programming capabilities that enable us to develop a user interface conveniently; including formatted output, graphics, windowing and commands that are invoked by typing text, keyboard shortcuts or clicking a mouse button. McCLIM works with Allegro CL, Clozure CL, CLISP, CMUCL, Embeddable CL, the Scieneer CL Common-lisp, SBCL and the LispWorks implementations. Right now the only backend supported by McCLIM is CLX, which ties it to the Xserver on the host system. Any platform capable of running Xserver may run McCLIM applications. (ql:quickload "clim-examples")   ; Load the system with examples. (clim-demo:demodemo)             ; Run the example browser application. Quickload McCLIM by running (ql:quickload "mcclim"). ;;; Define a application-frame (a.k.a. application window in traditional GUI's). You can access the McCLIM manual draft PDF if you want, but it's still a work in progress. Several other CLIM 2 resources are listed on CLiki and McCLIM homepage. Apps/Debugger - Peter Mechleborg's debugger (similar to Slime's). Apps/Functional-Geometry - Frank Buss and Rainer Joswig's functional geometry package for drawing "Escher" tiles. Apps/Inspector - Robert Strandh's inspector (similar to slime's). 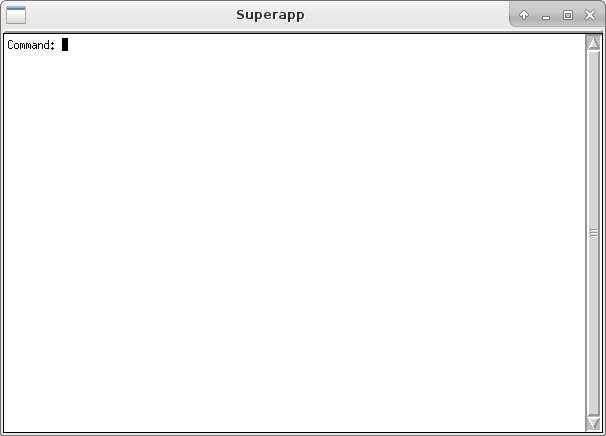 Apps/Listener - Andy Hefner's Lisp Listener. Scigraph - BBN's graphing package. Documentation - Contains available documentation such as Documentation for Libraries Drei and ESA, A Guided Tour of CLIM, Specification in LATEX source and Manual in LATEX and texinfo sources (For the time being, texinfo manual contains some additional Documentation not found in LATEX version). Examples - Sources for the examples in clim-demo and some additional examples. These are of varying quality and style; many of them date from when McCLIM was quite incomplete. Extensions - Contains several extensions to CLIM 2 spec, such as fonts, additional layouts, bezier, images etc. Most of them are loaded automatically with McCLIM. Libraries - Contains Drei and ESA Libraries. See Documentation for details. spatial-trees spatial-trees is a set of dynamic index data structures for spatially-extended data. The flavors provided are, as of the 0.1 release (on 2004-12-03): R-trees, as in R-TREES: A DYNAMIC INDEX STRUCTURE FOR SPATIAL SEARCHING, Antonin Guttman, Proc. ACM SIGMOD Int. Conf. on Management of Data, 1984. Greene-trees, as in An Implementation and Performance Analysis of Spatial Data Access Methods, Diane Greene, Proc. 5th IEEE Int. Conf. on Data Engineering, 1989. R*-trees, as in The R*-tree: An Efficient and Robust Access Method for Points and Rectangles, Beckmann, Kriegel, Schneider and Seeger, Proc. ACM Int. Conf. on Management of Data, 1990 X-trees, as in The X-tree: An Index Structure for High-Dimensional Data, Berchtold, Keim and Kriegel, Proc. 22th Int. Conf. on Very Large Databases, 1996 Future work planned includes performance enhancements, incorporation of more index structures, and some work on supporting more optimal indexing when the entire set of data is known at index creation time; for more details, see the TODO file in the binary distribution.The code is licensed BSD-style, and is intended to be similar in spirit to Nathan Froyd's TREES Library. You can get this via Quicklisp.As per #lisp discussion, the new official source for this is the github repository, which is a conversion of the darcs repository.